The dam at Lucky Linton farm where the drowning took place. Photo: IPSS Medical Rescue. After more than five minutes underwater, paramedics were unable to resuscitate the child. 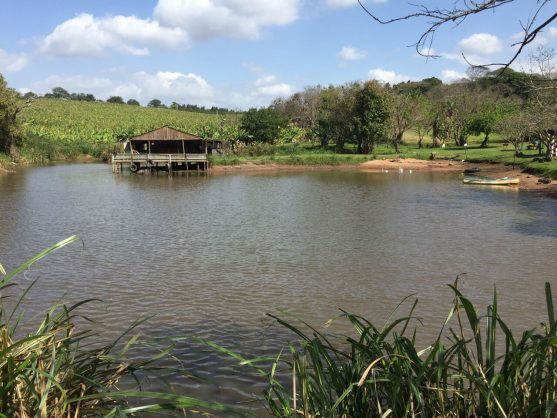 A school outing to Lucky Linton Farm outside Shakaskraal, KwaZulu-Natal ended in tragedy on Wednesday when a six-year-old boy drowned in a dam on the property. According to IPSS Medical Rescue’s Paul Herbst, several children were out on a raft in the dam, North Coast Courier reported. “The raft capsized, with one child going straight under and two others also struggling in the water,” said Herbst. When IPSS Medical Rescue paramedics arrived at 10.30am, two children were treated for near drownings. The third child had reportedly already been underwater for more than five minutes, and by the time paramedics managed to recover him from the water, it was too late to resuscitate him. Lucky Linton Farm is a former goldmine with plenty of activities and facilities for children, making it an appealing place for school tours.